Increase the health of the eyes and skin! Strengthen the membranes throughout the body. They act as antioxidant, antiseptic, anesthetic, anti-inflammatory, and rubefacient in nature. What would life be without Cumin (Zeera)? Cumin seeds are antioxidant, anti-inflammatory, and carminative by nature. Prevents various types of cancer. Hot pepper might be too much for some people to handle, but it is a very healthy thing to eat! Fights against all attackers, toxins, and infections, due to its powerful antioxidant properties! Capers are very low in calories, but packed with phytonutrients, antioxidant compounds, and vitamins. Supermeal Pakistan will be a part of your beautiful Eid festival, so if you get bored of all the gosht in your house, call us at 11175775 and order food online from hundreds of restaurants. No need to cook as Eid is all about looking good and feeling fresh, we are here at your service. Visit www,supermeal.pk and order your favorite food with just a click. We all go through a phase when our faces are filled with acne and we simply don’t care about it as we are so busy enjoying life but, what if that acne stays for longer? Than that is something to worry about for sure. But don’t worry, in this article we will discuss 7 foods that’ll get you rid of acne. The first one is nuts, we all know about their vast advantages to our body but did you know they help eradicate acne? Nuts are highly rich in selenium, a powerful antioxidant that acts to eradicate acne, most probably by keeping the cells safe from inflammatory damage and by conserving skin’s elasticity. Selenium works very well when it’s accompanied by vitamins such as vitamin E and A, so start eating nuts with some almonds to help yourself get rid of acne. Our mothers always tell us the advantages of them, so today we will also discuss them and then you might know why they are on our “7 foods that’ll get you rid of acne” list. Nobody knows precisely why, however getting enough zinc seems to help put the brakes on breakouts. It might be that zinc controls the arrival of male hormones that kick-begin skin break out. Zinc additionally enables the body to assimilate vitamin A, another imperative supplement for solid skin. The regular Western eating routine contains an excessive number of omega-6 unsaturated fats, which are fixing to irritation. Eating more omega-3 unsaturated fats, for example, those found in greasy fish, walnuts, flaxseed, and so forth, can help tame aggravation and enhance skin break out breakouts. Beta-carotene (found in numerous orange-, yellow-, and red-toned foods grown from the ground) changes over in the body to vitamin A, one more of the supplements that upgrades selenium’s advantages to skin. Eating more products of the soil can normally help clear up skin break out. Many contain beta-carotenes, which normally help lessen skin oils, and all are normally mitigating. Dim, verdant greens additionally help clear debasements from the body, which can energize skin break out. Dull hued berries contain phytonutrients useful for skin when eaten. These succulent vitamin C bombs won’t cure you of breakouts, but since the vitamin reinforces cell dividers, it can help shield your skin from scarring that flaws can cause. Bioflavonoids, which frequently originate from a C source, (for example, the white skin inside citrus organic products), additionally go about as normal hostile to inflammatory that can upgrade the mending activity of vitamin C.
For obscure reasons, iodized salt can cause skin break out flare-ups. Watches the measure of sodium you take in from readied and prepared sustenance and what amount iodized salt you include from the saltshaker. Consider utilizing ocean salt, which is bringing down in iodine. Likewise restrain shrimp and shellfish, which are high in iodine. “If opportunity doesn’t knock, build a door” following the statement, Supermeal Pakistan executed its growth plan. We flaunted the idea of collaborating with the territory partners within Pakistan and internationally as well. Starting the initiative in Karachi, the idea began from the start of 2017 and by the mid of the year, we have our 1st territory partner. In the growing venture of the food business, Supermeal Pakistan welcomes the well-known restaurant “LalQila”, to be a part of its extensive journey. 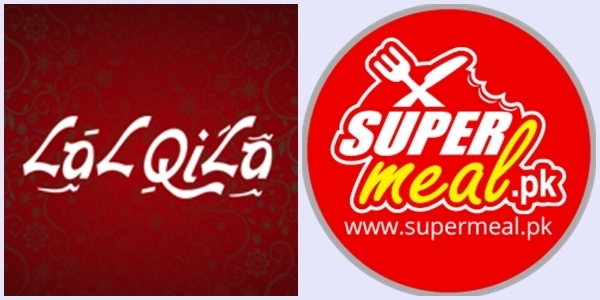 Hence LalQila has become the 1st territory partner of Supermeal Pakistan and is currently working as a franchise partner in many areas of Karachi. Previously known as “Foortal” and rebranded as Supermeal Pakistan, we are now moving towards the growth and massive developments of the business with “Lal Qila Restaurant”. A true marvel depiction of the Mughal era – LalQila, has now joined hands with Supermeal Pakistan sharing 60:40 of its revenue share and working as a territory partner in major parts of Karachi. Supermeal Pakistan is one of the fastest growing food portals of Pakistan and together with Lal Qila, we will be striving to touch the heights of success. Currently, Supermeal Pakistan and Lal Qila are collaborating in Karachi. The joint venture was signed on 31st July’2017 in a small gathering held at the premises of LalQila. The Head of Business Development & Marketing “Muhammad Kabir Khan” and the CEO of Supermeal “Waqar Shah” with the Director of LalQila “Zaheer Yousuf” finalized the deal and signed contract. The over-whelming and rejoicing ceremony was one of its own kinds. Supermeal Pakistan welcomes LalQila to be a part of its massively growing journey and hope for a positive and successful growing venture in the food portal business. Supermeal Pakistan will now work on its future projects with LalQila. And the growth still continues… the search of the territory partners is still on. Who will win Pakistan vs India? Vote now!